First-Person Shooters do a great job of naming all the guns. Whether borrowing real-world names like “M14” in the name of accuracy, generic names like “sawed-off-shotgun” in the name of clarity, or custom names like “Klobb” in the name of uniqueness, I can’t think of a single instance where I was disappointed in the dev’s firearm naming efforts. But this satisfaction does not always transfer to their naming of the things being shot. In a way, I think it’s almost more important that the bad guy units in a shooter be given decent names, especially if the devs are hoping a new player be capable of intuiting likely counter-strategies from the name alone. This is obviously more important in multiplayer games, especially ones with no single-player aspect, since a brand new player will be learning the ropes while affecting the gameplay of other players. Devs can’t assume that the other players will inform their teammates of the nuances of the opponents, so it needs to be clear just from name and appearance. It’s also more important when the bad guys are non-playable, such as in PvE games, because in dedicated PvP the new player implicitly understands that he can’t understand every class until he’s tried playing them. Team Fortress 2 dodges this entire issue for that reason, and also because they went with the aforementioned generic naming conceit. When your classes have names like Medic, Sniper, and Engineer you don’t have to worry too much about people being unable to figure out how they work, and the incredibly distinguishable character designs are just icing. It’s more interesting when delving into games that don’t use real-life careers as classes, for example the zombies in Left 4 Dead 2. When a player first sees one of these, how is he going to know what distinguishes it from the many other zombies? If you play through the Left 4 Dead 1 and 2 developer commentaries, you can hear the devs talk a lot about how much effort was put into differentiating the Special Infected. This begins with the name. The Survivors will shout out the names of Special Infected they hear coming, so usually a player’s first impression comes from hearing “Charger!” or “Tank!” To that effect, many of those names instantly give away the unit’s basic strategy. 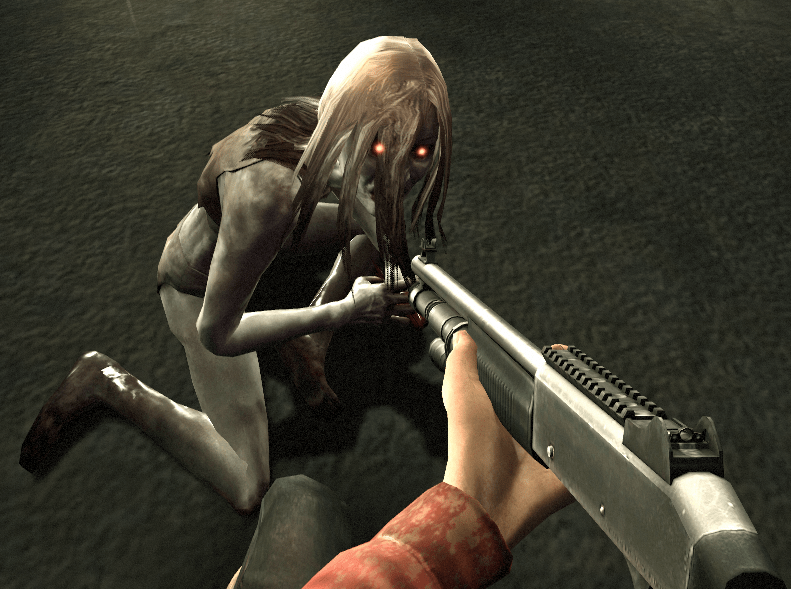 You can assume that a zombie referred to as a Spitter is going to have some sort of projectile attack, and when a bolemic female staggers into view leaking acid from every orifice, it becomes immediately apparent that you should shoot her before she spits. Likewise, when I first saw a morbidly obese zombie lumber around a corner, my first instinct was to shoot it, except that my character had shouted “Boomer!” and that name warned me I should probably keep my distance. Let’s take a close look at the zombie whose image I posted at the top of the last paragraph. He’s called a Hunter, a name which doesn’t seem particularly descriptive at first glance. But then when you think about the concept of hunting, it requires the ruthless and calculated pursuit of prey. 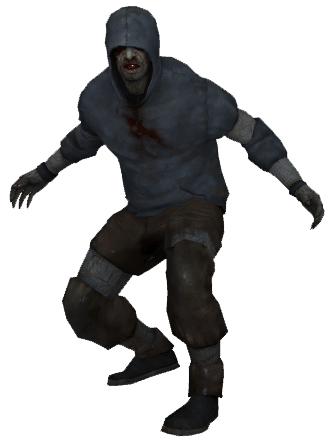 No other zombie in the game seems quite as intelligent as the Hunter; he slinks along the ground quietly and waits for his prey to turn a corner and/or separate themselves from the team. That’s why the name evokes the correct response in the player; when something called a ‘Hunter’ is around, keep close to your teammates so that you’re harder to hunt. In contrast, I personally think Valve really dropped the ball on the Smoker. That name doesn’t help explain how he works at all, and since he’s the quintessential long-range unit you can’t trust character design to fill in the blanks. Problem is, I can’t of anything that would be a better name, but I remember as a new player the Smoker was the last zombie I had to wrap my head around. I even understood the “long range tongue-grabby guy” for quite some time before I learned that he was the thing people kept referring to as Smoker. In contrast to Left 4 Dead 2, Killing Floor 2 is a game that doesn’t do nearly as good a job of giving the enemies descriptive names. 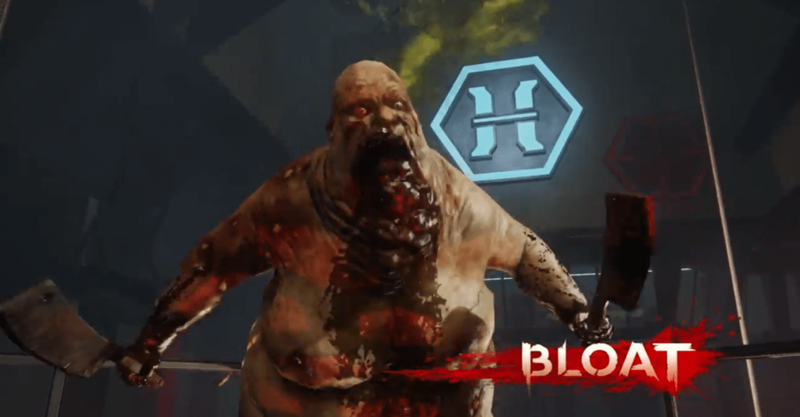 The Zeds’ names are mostly oriented around gory-bloody themes like Clot, Gorefast and Fleshpound, and this doesn’t serve to tell the player anything except that the zombies will try to kill him. As a consequence, it’s taken me much longer to figure out how the Zed with rebar soldered to his arm stump is different from the Zed covered in little spikes. The first time you see one of these guys in the horde, you’ll instantly recognize that he’s some sort of elite Zed, and your character will shout “Scrake“! His battle strategy is to run at you and attack with his chainsaw arm, something very adequately foreshadowed in his character design. Less obvious is that the optimal playstyle is to not shoot him until all the riffraff Zeds are dead, because he won’t actually attack until his health drops to a certain threshold, and once he does you can parry his attacks with your melee weapon’s alt-fire, leaving him open to counter-attack. 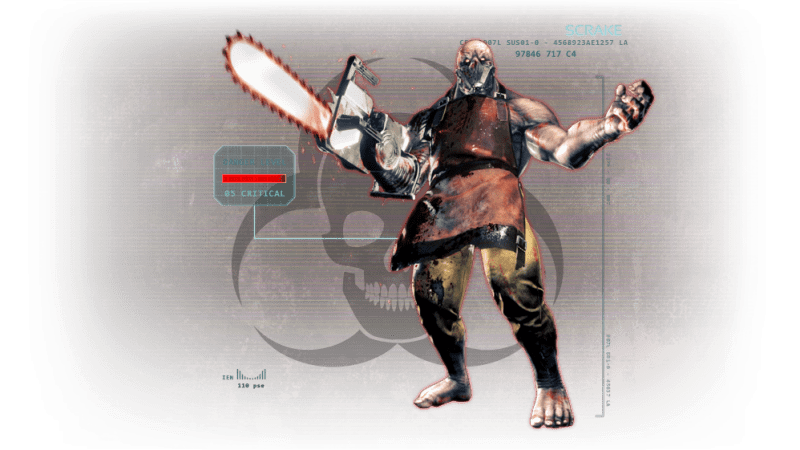 None of this is explained or even implied in game, and the name “Scrake” is certainly not giving any clues. You basically have to go on the forums and ask people how to fight them, play with experienced and communicative teammates, or die multiple times until you’ve learned not to shoot him right away. With the exception of the Crawler and the Siren, almost every Zed name in Killing Floor 2 has a thematic rather than explanatory base. I can’t speak for the Bloat either way, because when I heard his name I assumed he was just like the Boomer, and I turned out to be right. There’s nothing wrong with this per se, it’s a valid design choice to force a player to learn through trial and error, or to assume that players who’d like to know what they’re doing can do some outside research before trying the game again. But players are going to do all this anyway, and I think it’s better that the basic fundamental gist of each bad guy be instantly recognizable after a single encounter, especially if fighting them involves a level of strategy beyond “shoot them until they fall over.” After all, you put a lot of work into designing these characters; the last thing you want is for a new player to walk away from their first match thinking that everything they shot at felt the same. Next Next post: Could a “Flare Jumper” work?